Find a Dentist. Reviews you trust. 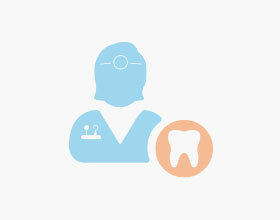 Select keywords to find your Dentist. Dr. B and his staff are top notch. From Sue at the front desk to all the hygienists and assistants. They make you feel comfortable and at ease, are very friendly, gentle and professional. Not to mention the other Dentists in the office as well. I just had a procedure with Dr. Fong and she is simply amazing. I wish they were around when I was a kid and hated going to the dentist. Keep up the good work and thank you all. As someone who hates going to the dentist, this was by far the best experience. They are so attentive and empathetic. They made sure I was comfortable throughout the entire exam and X-rays - friendly, polite and professional, and their primary concern is the patient. I honestly couldn't ask for a better experience ! I've been a patient of Dr. Baharreh Yadollahi for four years and would recommend her for all procedures. She's incredibly skilled, is gentle, and has excellent patient care. I've had extensive treatment done with her and I've never had an issue with the work. Excellent dentist always gentle and caring. Always leave the dental office with clean teeth and less pain. I am so thankful that I have found a great dentist again... I would not hesitate to recommended friends and family to Dipti dentary. Tried to upsell by misleading. Went in for a dental implant consultation, said the other incisor was a pegged lateral and we'd need to make a gap and put veneer on that and then put a matching implant on the other side. Codswallop. The pegged lateral is already positioned just fine, isn't bad and doesn't need to be messed with. Dr Mendel's own teeth weren't that great either. This "perfect smile" business is alright but at least provide the patient with the complete information and long-term consequences of things you suggest. I have been going here for the past year and a half for a reason. The staff here is great, very accommodating and very friendly. I highly recommend anyone who works in the downtown area to continually book their appointments here. 5 Stars! I usually hate going to the dentist, but the team at the Toothworks location at Richmond Adelaide make it a great experience. They are always on time, friendly, and accommodating. Especially like Chris Bien. Best dental hygienist I've ever had! Friendly, personable and does an awesome job! 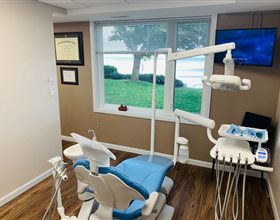 Definitely worth checking out for your next cleaning or dental visit. solid dental practice — yes you must pay and get reimbused but that doesn’t have anything to do with the dentist that’s a billing issue. solid practice, rare to find experienced dentist like jacobs. I came to know Dr Riazi in that location. I had never seen such a professional dentist taking time to explain all about the care one needs for teeth. He thoroughly examined my teeth and provided the best possible treatment abailable. I have been going to that location for a few years and i am very happy with all the staff. Perfect location if you work or live downtown. Unfortunate my wife and I are retired so it's out of our way but we're not willing to give up this great team. I was so impressed with Dr. Connors and his facility. He's very knowledgeable, they have the most modern technology and my experience was very relaxing. Dr. Cheng is phenomenal! He is the rock-star of Dentistry. He is knowledgeable, kind and efficient. He makes you feel at ease by providing information and continually checking in on your comfort. He is dedicated to his craft and stays on top of what's current in the field. The staff are also very thorough and appointments are always on time. They are true professionals. What sets this place apart from most, is that everyone here cares about what they do. It's evident. There is pride in their work. Great dental experience. Office is very efficient and responsive, clean and modern facility, and most importantly, pleasant and skilled staff. Was a real pleasure to be a patient here. Would highly recommend to all. Dr.Ben is by far the BEST dentist I've ever had in my life. He has also done some major dental work for my family members. All of us are extremely satisfied and happy to be under his care.